In Danielle Steel’s #1 New York Times bestseller, a Hollywood wedding sets the scene for a vivid portrayal of a prominent family whose hopes and fears are as real as our own. Simon Steinberg, a major movie producer, and Blaire Scott, an award-winning television writer, are among the most respected couples in Hollywood. They have defied the clichés, keeping their marriage together for decades. Their children–Samantha, Scott, and Allegra–are successful and happy, but must face the challenges we fear for our own children as well. As an attorney for the stars, twenty-nine-year-old Allegra Steinberg is used to negotiating major movie deals, and fielding phone calls at all hours of the day and night. But she has little time for a private life–until a chance encounter with a New York writer turns her life upside down. Suddenly, Allegra finds herself planning a wedding at her parents’ Bel Air home. As preparations begin for a September ceremony, surprise announcements and ever-increasing anxiety bring out the best and worst in everyone. But as couples in each generation of the Steinberg family struggle with broken vows and new hopes, the real meaning of Allegra’s wedding emerges. For the bride, the ceremony is a bridge between her past and her future. For her parents, it is a reminder of the bond that holds them all together. And for both families, it is an opportunity for reconciliation, and new hope. 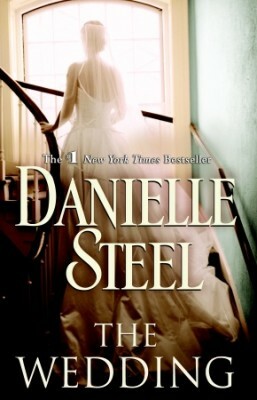 In a compelling portrait of real people in an unreal world, Danielle Steel uses Hollywood as a backdrop to reveal the dreams, the fears, and expectations of a ceremony that unites us all and changes lives forever…The Wedding.